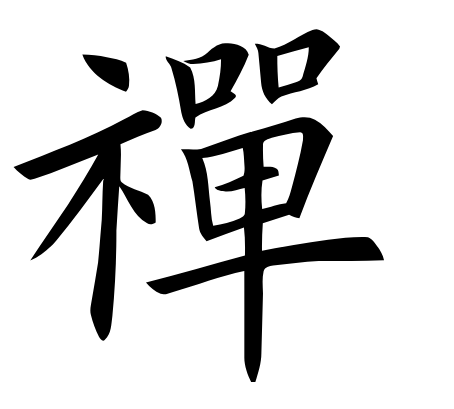 Yesterday my Tai-chi teacher told me a koan. I prompted him in a way. As I was struggling with a tai-chi movement, telling my teacher that I have to allocate a lot of computer processing power as to understand the intricate details of the movement and then map them to my body’s movements and enter the flow of the form. And then told me this. Once, a disciple of his was so much engrossed in learning the “theory” about the movements that he very much resembled a monk studying Zen, who one night came to his teacher and asked many many questions. To which the teacher said: “The night is getting old. Why don’t you retire?” The student bowed and set out to leaving but seeing the darkness outside, observed: “It is very dark outside.” The teacher then offered the student a lighted candle to find his way. Just as the student reached out to take it, the master blew it out. Having told me the koan, my teacher explained that you can’t give readily acquired knowledge. One needs to find their own way towards it. Not surprisingly, my mind jumped onto a memory of a recently read book (a wonderful read: Memory Machines: The Evolution of Hypertext) and the intriguing chapter about Memex. The Memex which would boost “the entire process by which man profits by his inheritance of acquired knowledge” [the book cites Bush  1991, 99]. Further, my mind leapt into thinking about the technologies we use in building our new memory machines and the way we try to transfer knowledge or embed it in systems. 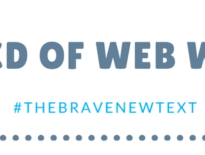 These days, putting the finishing touches to The Brave New Text, I see these technologies as two major ones: writing and the Semantic Web. The Semantic Web is what we will get if we perform the same globalisation process to Knowledge Representation that the Web initially did to Hypertext. We remove the centralised concepts of absolute truth, total knowledge, and total provability, and see what we can do with limited knowledge. Meaning is always created in the interaction, it is not to be embedded entirely. The same goes for knowledge. You can’t just have it somewhere is a system – as an “absolute truth”. It is a dynamics. And the beauty of the Semantic Web is that the technologies developed to support this interconnected data space are allowing for that dynamics of meanings, perspectives and uses of all kinds, forms and varieties to be represented. 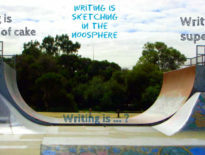 Writing on the Web shares that beauty of openness. And there is a magical light in that type of rich relationships building. The building of data structures, with the OWA in mind, and the building of human networks, with carefully crafted texts in mind. With the Open World Assumption (OWA) that allows anyone to say anything about anything on the Web, we can have have our own candle lit up to kindle somebody else’s. And with writing on the Web, we explore meaning from as much perspectives as our ability to follow threads and fear not darkness would allows us to. These were some random thoughts that chase me while I write the The Brave New Text. If you enjoyed the write up, please come join my notification list.